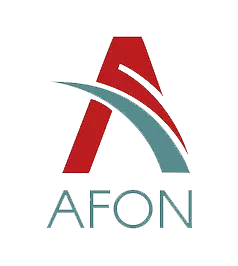 We started Afon Events Collective to help others turn ideas to action responsibly. Along with our passion for operating sustainably, we wanted to bring consistency and transparency to the process of delivering green events. You won’t find hidden costs or sub-contracts with unknown parties. We’ll keep you involved as much as you want to be – our clients and partners are what we do. We are constantly evolving with our partners to reduce the footprint of your event. We grow with our clients and suppliers, who are the best at what they do. A boutique that delivers big ideas with considered social, economic and ecological impact. We operate attentively with every move we make. Sustainability, giving back, and social justice are in everything we do. We are intentional with every detail to make sure it’s up to our standards. Consistency is at our core. You’ll get the same expertise and attention, right until the end, every time. We’re as invested as you are, and won’t hide the details. We work with local suppliers sharing information to make a difference in your local community. We know the people we work with, so you will too. We’re about human interactions, not agencies and boards. We make sure that everyone we work with shares our ethos to not only do less harm, but do more good. We’d love to work with you and share how we can help with your green events.